If you’re looking to include supplements to your dietary regime, and are questioning yourself whether you should or you shouldn’t. The answer is – yes, you should! The most popular supplement out there is ‘whey protein’. Whey protein is derived from milk. Whey is the liquid part of milk which is left behind when cheese is produced. Here’s a few reasons to pick up your first tub of whey protein. Working out regularly and sufficient intake of whey protein increases muscle growth. Working out breaks down your muscle tissue. Protein and amino acids together act as building blocks for your muscles, and boost muscle growth. They promote muscle repair and preservation. You can accelerate your muscle recovery by simply incorporating whey protein in your post workout nutritional plan. This reduces muscle soreness after a heavy workout as well as can help improve performance in your next workout. Whey protein successfully helps cut down body fat and maintain lean muscle. Whey protein accelerates your metabolism, so your body burns more fat throughout the day. And while your body loses extra fat, whey protein helps maintain muscle mass. Whey protein also keeps you feeling satiated and full, preventing any more craving for food. Even though you’re consuming lesser calories, you can still feel full and continue on your path to losing weight. So, whey helps curb hunger and prevents excessive weight gain. 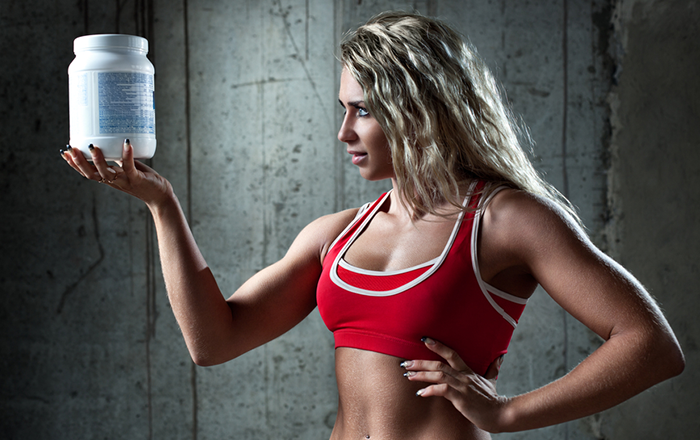 Whey is a great protein supplement for both men and women. It is easy to incorporate in your diet, and helps reaching your desired fitness goal, whether it is weight loss or bulking up. Whey also contains magnesium, calcium, zinc and vitamins which help build a stronger cardiovascular system. As an added benefit, whey also boosts immunity. This is because milk and whey contain immunoglobins which help increase immunity in adults. Whey also increases production of glutathione (GSH), which is a strong anti-oxidant. GSH helps in strengthening the immune system of your body. More and more studies suggest that increasing intake of protein lowers loss of bone mineral. Since whey protein is produced from milk, it also includes a significant amount of calcium. This also benefits senior citizens to maintain their health and fitness. Being a good source of calcium, whey increases bone mass and prevents fractures. Well, almost everything is available online these days, and so is Whey! It is easy to find good quality, imported whey protein online. Just be sure to check the authenticity and the licensed importer’s hallmark on your whey product while accepting your order.